Nowadays Airtel is constantly rolling out new plans & data offers to gain customers & sustain in a huge competition created by Jio. 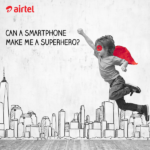 Many of you may know about airtel’s previous holiday surprise offer, in fact some of you may have already enjoyed this offer. This time Airtel is back with same deal but now they have named this as airtel monsoon offer. Before moving to the actual offer, you can also take a look Airtel’s 244 & 399 plan which are really value for money and they’re far better than idea or vodafone. What is Airtel Monsoon Offer? This offer is valid only for Airtel postpaid customers. User will get 30 GB 3G/4G data on their connection. 30 GB bundled data is distributed as 10 GB per month for 3 months. Users who have already availed this offer can use it again without any issues. Only after 1 July 2017, you will be able to claim this freebie plan. Download & install my airtel app in your phone. Sign up or login using your credentials or OTP. You will see this offer banner on home screen itself. Just follow the instructions given on screen to activate airtel monsoon pack. Not just this, Airtel is also giving free 30 GB for its new customers in addition to usual 3G/4G data. To get this deal, you have to recharge your postpaid number with either Rs 499, 649 or 799 plan.